A good novel tells an engaging story that creates a lasting connection with the reader. It’s about choosing the right set of words to weave a masterpiece story. Before an author begins writing their story, they first have to determine who their audience is and why the story is relevant to them. What makes the following 4 novels so brilliant is their use of thoughtfully created characters and a nail-biting plot that constantly keeps the audience on the edge. You know you’ll learn something new after reading a Michener novel. The author creates a vast, isolated world that is empty but full of details. It takes a fine bit of patience to go through all the details Michener painstakingly included for the sake of good storytelling, but it’s worth it. Alaska starts with the formation of the continent of North America and takes the reader through modern times. We meet a vast range of characters, including Russian and Inuit settlers, politicians, gold miners, and even the average joe – all looking to lay claim to Alaska as their own. When the novel is seen from the perspective of an epic, every novel lover will appreciate how concise Michener was without becoming too verbose. 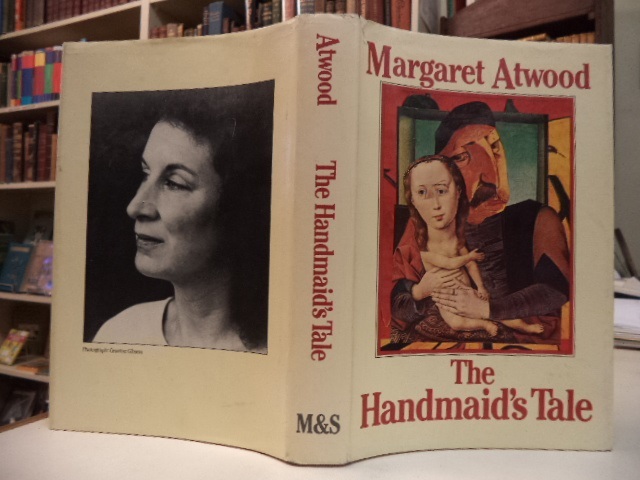 What makes the Handmaid’s Tale so relevant is that it is written from an exclusively female perspective and set against the backdrop of an eerie dystopian world. The author does a great job of narrating a sense of loneliness, isolation, longing for the bitter past and dreadful fear. When the narrative becomes a bit too grim, Atwood uses her wicked sense of humor that lightens up the mood and makes us burst into laughter. The Handmaid’s Tale can teach us a lot about modern feminism and the significance of gender agnosticism in general. Described by readers as preposterously funny, A Confederacy of Dunces couldn’t have been possible without Ignatius J Reilly, a character who walked the fine line between stupidity and brilliance. John Kennedy narrates a story with several underlying themes— the most prominent of which is the pointlessness of having a master’s degree, which Ignatius proudly boasts of. If you’re a fan of DC comics and the superhero crime fighting niche in general, then Watchmen from Alan Moore will make for the perfect read. Alan takes us through an extremely violent and ethically challenging world that has spiraled out of control. As the cold war hostilities continue to escalate, the readers will find themselves turning every page with the painful fear of a looming nuclear war. And there is a justified reason to be frightened of the novel; your only favorite hero is Rorschach, a violent sociopath, and the only silver lining is the politically correct version of Superman, Dr. Manhattan, who is not above being prone to the vulnerable human condition. In all, critics claim that Watchmen is the best comic book of all time.